In my last post I wrote about little known composer Sophie Elisabeth. Today’s subject, Francesca Caccini, is somewhat better known. The last decade or so has seen a renewed interest in her work. Born in Florence, Italy on 18 September 1587, Caccini was a prolific composer who also sang and was proficient at the harp, harpsichord, lute, theorbo, and guitar. She was the first woman to compose an opera, and was employed by the Medici family for a total of three decades, becoming at one point the highest-paid musician on their payroll. I highly recommend reading this summary of Caccini’s life and accomplishments written by Suzanne Cusick to get a fuller picture of the composer’s life. My favorite tidbit: Caccini’s colleague and biographer reports that at age 12 she wrote a commentary on books 3 and 4 of the Aeneid. As is the case with Sophie Elisabeth, much of Francesca Caccini’s music is lost to us. Her style has been compared to Monteverdi and Jacopo Peri, whose L’Euridice is the earliest opera for which the complete score has survived, and in which Caccini performed at age 13. A generation older than she, these two composers participated in an exciting time of transition in musical style as the Renaissance drew to a close, and Caccini certainly took part in ushering in the Baroque style. First performed in Florence in 1625, La liberazione is the only one of Caccini’s operas to survive intact. The libretto is based on one of the many subplots of the epic poem Orlando Furioso by Ludovico Ariosto, and its plot would have been well known at the time: Good sorceress Melissa is on a mission to free Ruggiero from bad sorceress Alcina, who has the warrior under her sexual spell (check out Cusick’s exploration of the opera’s gender-related subtext). Melissa succeeds in freeing Ruggiero by disguising herself as his African teacher, and Alcina ultimately rides off on a dragon in a rage. The premiere performance wrapped up with a ballet for 24 horses and riders. 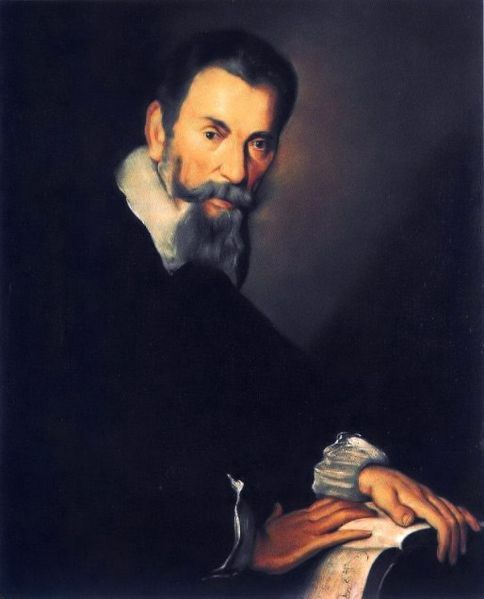 Copy of a portrait of Claudio Monteverdi by Bernardo Strozzi, hanging in the Gallerie dall’Accademia in Venice (1640). Public domain via Wikimedia Commons.